Oh yes I did! And I’m sorry. Really very, very sorry. Because in creating and sharing these Daring Gourmet originals I will have turned every one of you into addicts. But at least you will have lost your self-control over something oh so worth it! I enjoy peanut butter and jelly sandwiches like most most people. 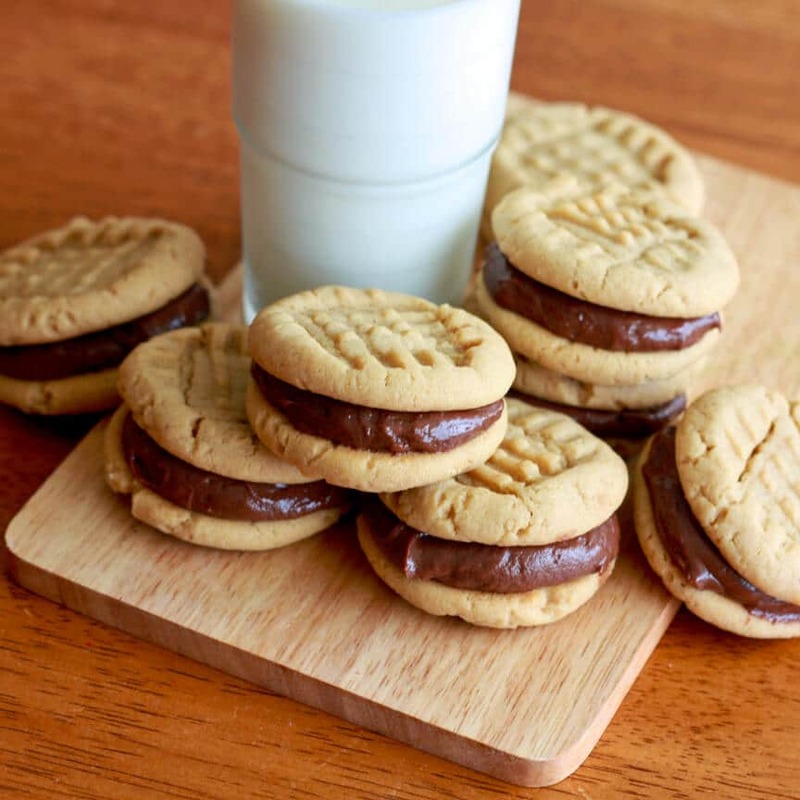 But I particularly enjoyed peanut butter Nutella sandwiches, especially when both are spread on thickly. Nutella is marvelous. I enjoy eating it on most anything sweet. I feel no shame sitting down with a jar of it and eating it by the spoonful. How about you? Any shameless Nutella confessions of your own? 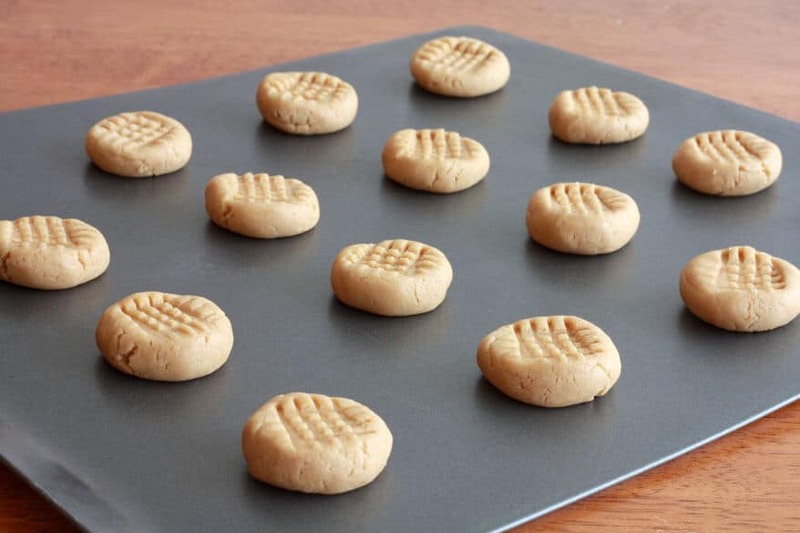 So it occurred to me, why not revitalize those same old peanut butter sandwich cookies with peanut butter filling that you find everywhere? But it had to be something more than simply spreading the cookie halves with Nutella, or mixing them with powdered sugar and butter. No, it had to be special. It deserved something better. One of my ultimate weaknesses: Cream cheese frosting. What could be better than Nutella cream cheese frosting? How about Nutella cream cheese marshmallow frosting? Eureka!! Before we get to this scandalously delicious recipe, come take a moment to “Like” The Daring Gourmet on Facebook so you’ll never miss a recipe! 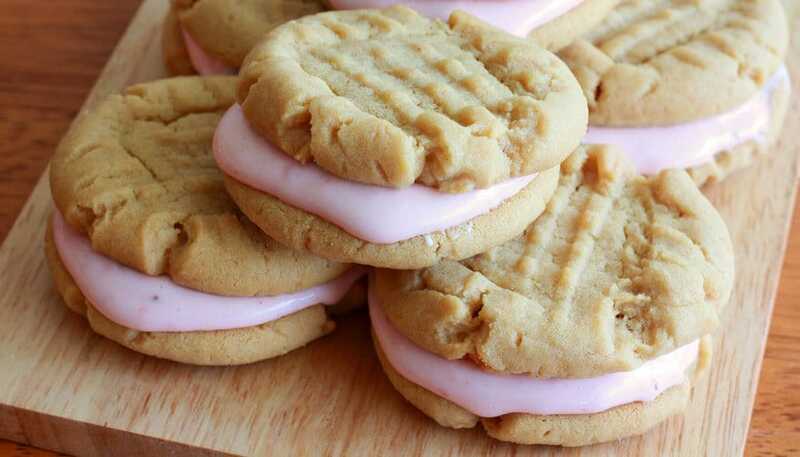 And don’t forget to check out this sandwich cookie’s twin sister, my PBJ Sandwich Cookies with Strawberry Marshmallow Cream Cheese Frosting! Okay, pull up your sleeves, everyone, and let’s get baking! Note: I made half the quantity for these pictures, so don’t get thrown off when you only see one stick of butter and one egg, etc. Refer to the recipe for actual quantities. 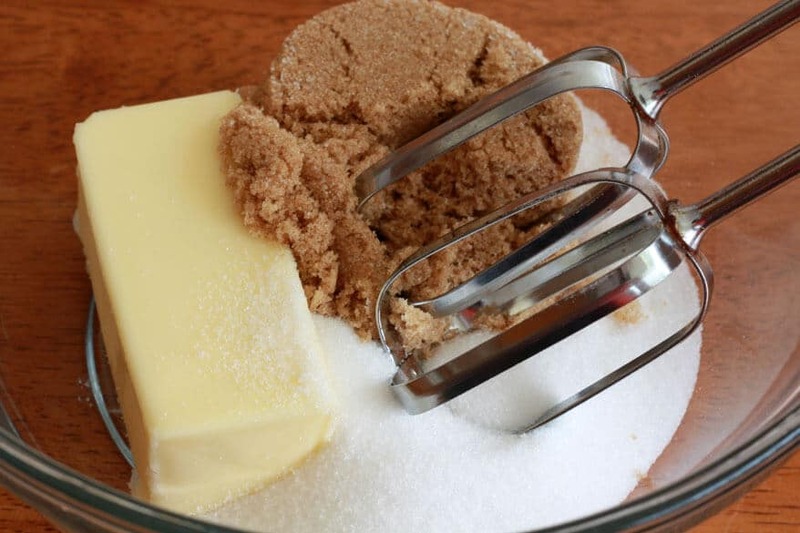 Combine the butter, white and brown sugars in a mixing bowl. Mix them with a beater on high speed until pale in color and fluffy in texture. This step is crucial, do not skip it. 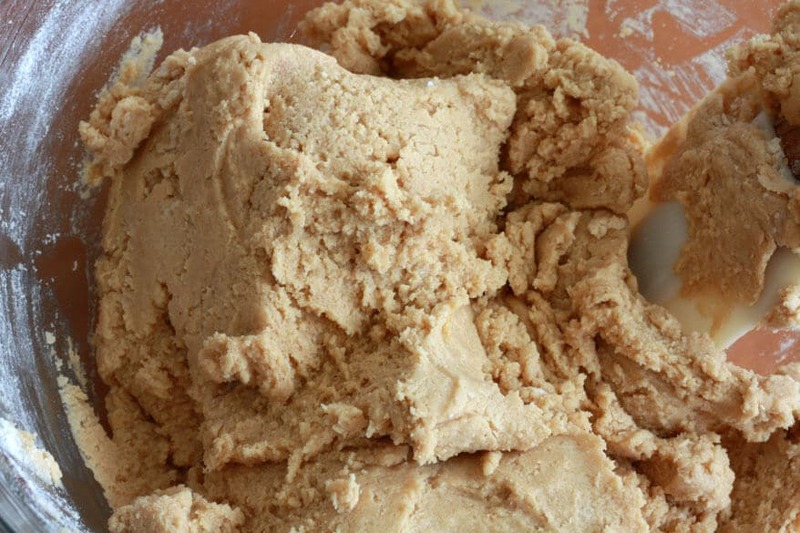 Beating the butter and sugar to the right consistency will help ensure a well-risen and tender finished cookie. Add the peanut butter and beat until combined. 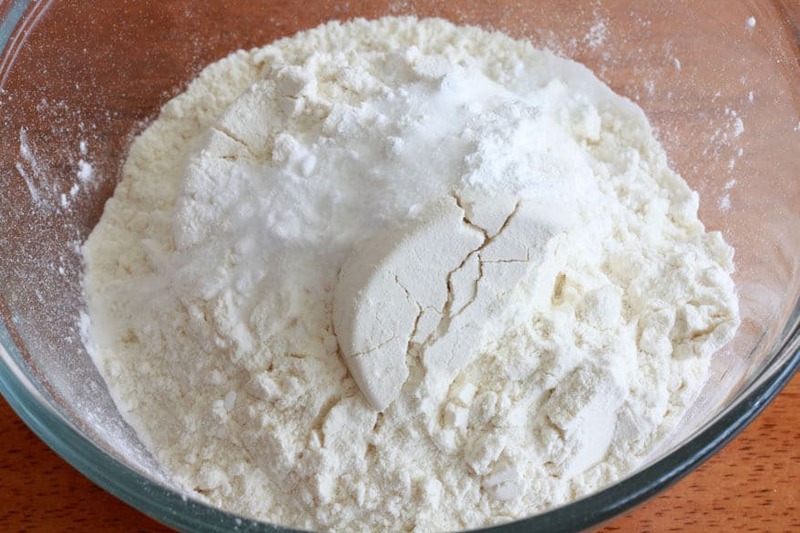 In a separate bowl, sift the flour, baking soda and baking powder. 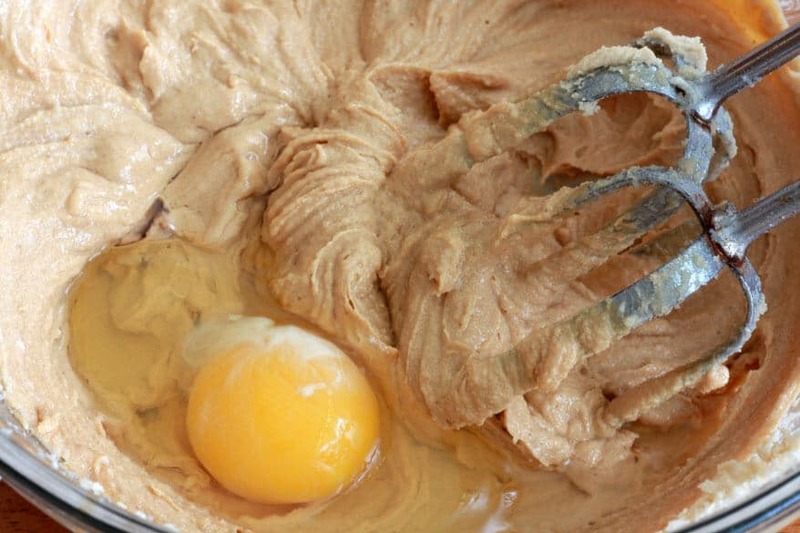 Using a rubber spatula, gently fold the flour mixture into the peanut butter mixture. Stir just until combined. The dough will be fairly stiff. 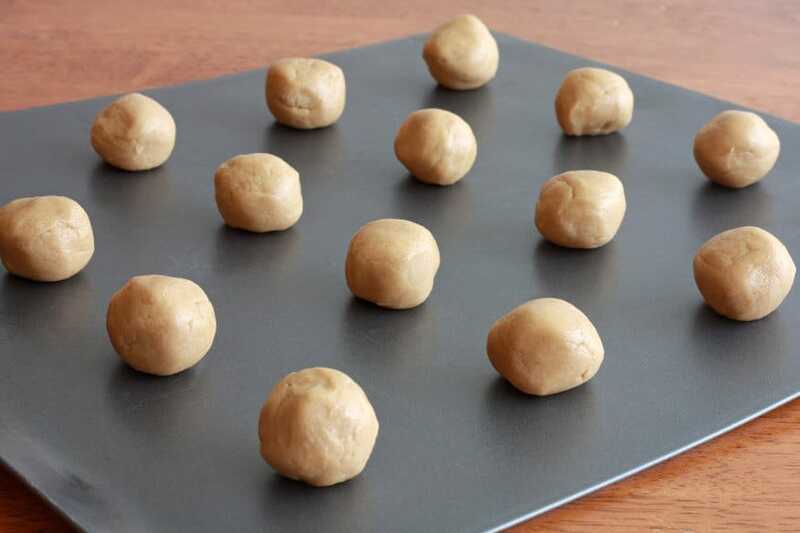 Roll the dough into 1-inch balls and place on a non-stick cookie sheet, spacing them about 2 inches apart. 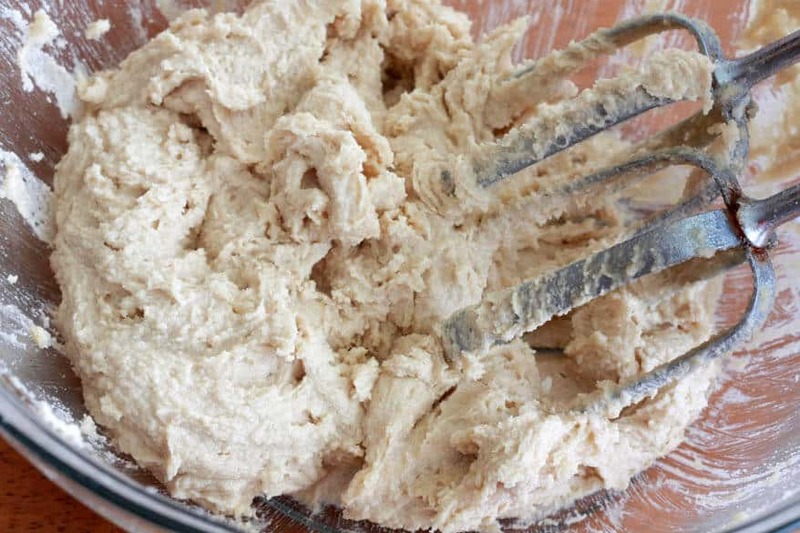 Using a fork, press gently down to create a criss-cross pattern in each dough ball. Preheat the oven to 350 F and bake for 8-9 minutes. Let the cookies cool on the cookie sheet for 4 minutes before transferring them to a wire rack to cool completely. 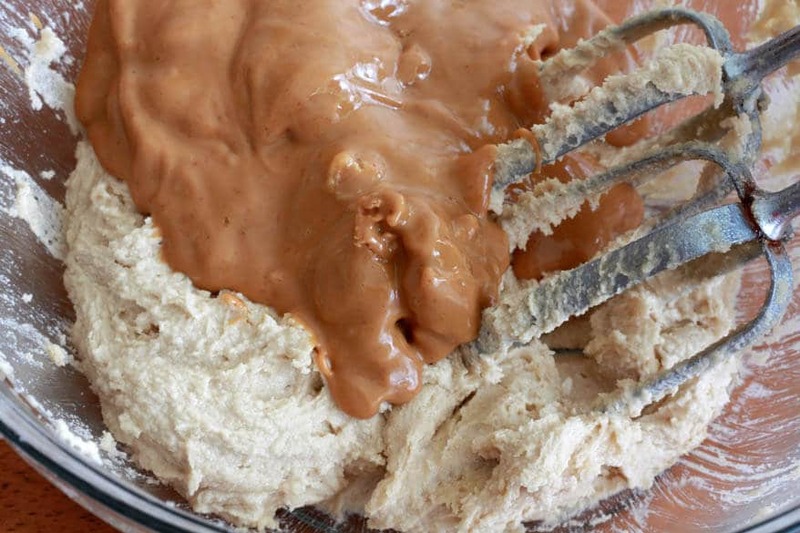 To make the filling, combine the Nutella, marshmallow cream, and cream cheese in a mixing bowl and beat until combined. Spread some filling on the bottom of half of the cookies and place another cookie on top to form a sandwich. Makes approximately 32 cookies. 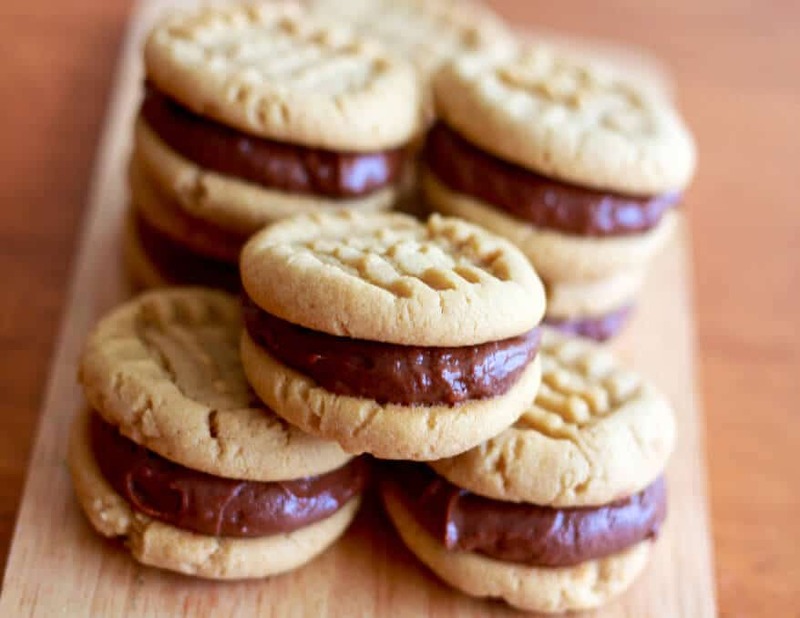 A Daring Gourmet Original, Peanut Butter Sandwich Cookies with a Nutella Marshmallow Cream Cheese Filling! Place the butter and sugars in a large bowl and beat for several minutes until fluffy and pale in color. 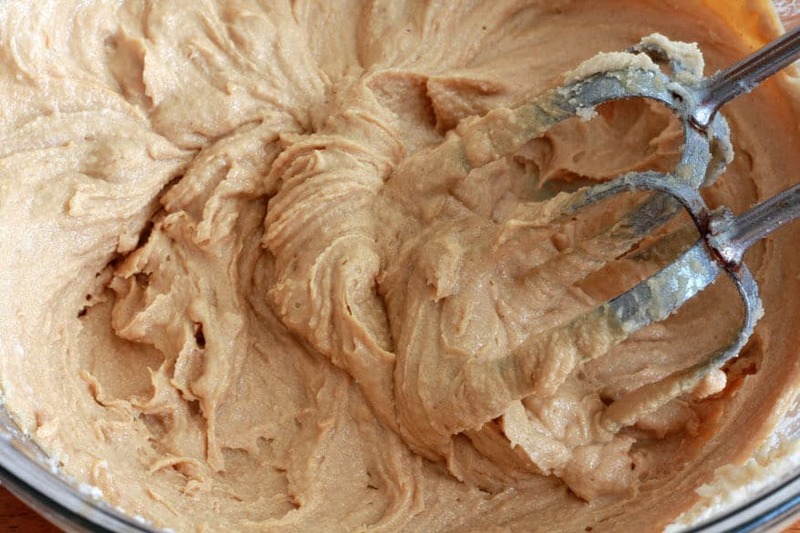 Add the peanut butter and beat for a few more seconds until combined. Add the eggs and vanilla and beat another few seconds until combined. In a separate bowl, sift the flour, baking soda, baking powder and salt. 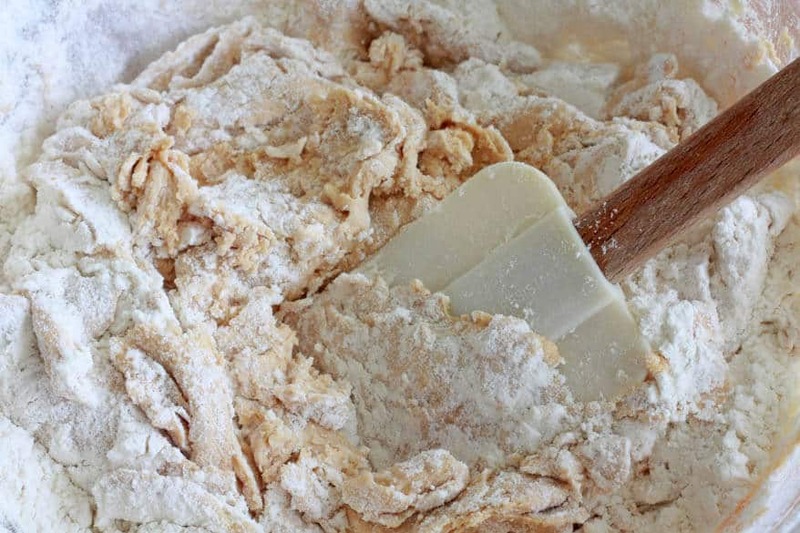 Add the flour mixture to the wet mixture and, using a rubber spatula, gently fold to combine. Be careful not to over-stir. Form the dough into 1-inch balls and place them on a non-stick cookie sheet, pressing a grid pattern into them with a fork. Bake for 8-9 minutes. Let the cookies cool on the cookie sheet for 3 minutes before transferring to a wire rack to cool completely. 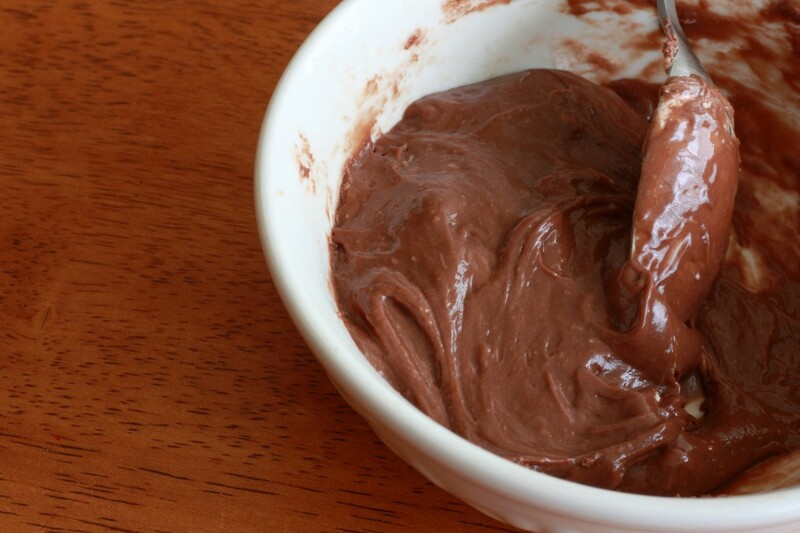 Place the cream cheese, marshmallow cream and Nutella in a bowl and beat until combined. Using a butter knife, spread the filling on the bottom side of one cookie and place another cookie on top. Makes about 32 sandwich cookies. Oh they look so nice and yummy! Oh my gawsh, these look incredible. Thanks, Aimee – they are scandalously delicious! Just checked out your blog. Oh my. Will definitely return and hang out for a while! Thanks, Amanda! Definitely an example of where my wildest fantasies took over and I combined three of my addictions into one luscious filling. They look so cut and delicious! Thank you! A little too delicious, unfortunately…I ate far too many and am having to do double time on the treadmill now! They look amazing! I’m going to make them today! I prefer a chewy cookie, would you say these are so? If not, is there a way to alter the recipe to be? Thanks for the compliment, Marie. Yes, they are very soft and chewy – the perfect pairing for that luscious, gooey filling! Hope you enjoy them! 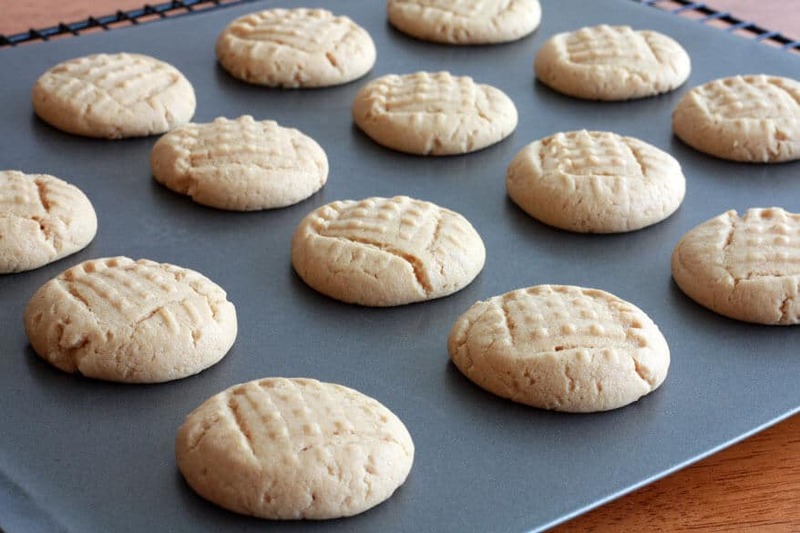 These peanut butter cookies look so yummy! Thanks for the recipe. You are so welcome! Thanks for the compliment and for stopping by. Happy baking! Ooooo, I made these yesterday and they turned out great! 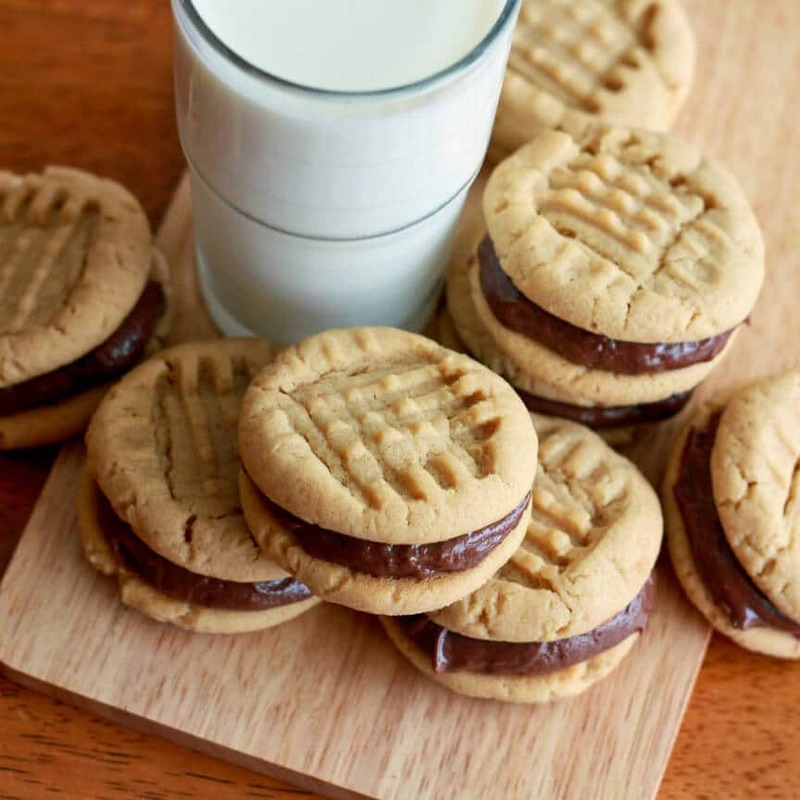 I never would have thought to make a sandwich cookie out of peanut butter cookies…and then to make such a delicious combination filling – oh my. Thank you! Awesome! I’m glad you liked them. Yes, the filling combination…this was conjured up in a moment of weakness when I was craving several of my favorite things and decided to roll them all into one gloriously delicious cookie :) Thanks for giving them a try, Susan, and for your feedback! I would like to make these for a camping trip, but do they need to be refrigerated since there is cream cheese I’m the filling? Thanks! Wow! This looks amazing, I need to try this ASAP! Made them.. Yummy. I did run out of filling b4 all cookies were filled. I’d double the filling part to make enough and b/c I don’t like having 1/2 jar marshmellow creme left. They were a hit with my family. Fabulous! 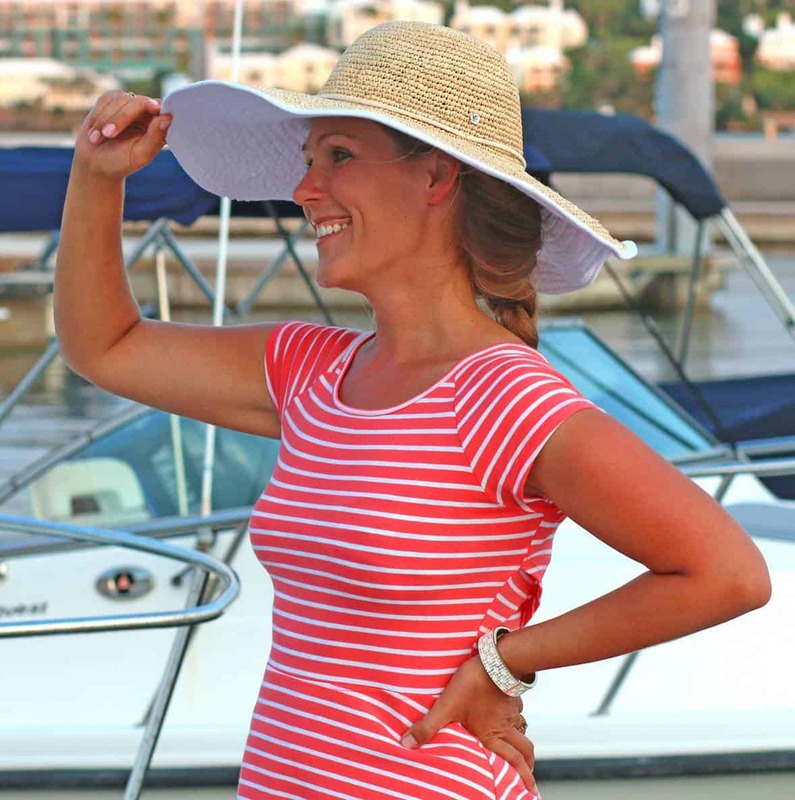 I’m so glad they were a hit and thank you for your feedback! Made these tonight for a church pot luck tomorrow. My husband asked me if we were taking them all to church.I had to assure him I wasn’t! He loves them! Haha, that’s great! So happy to hear they’re a hit, Jayne, and I really appreciate that feedback – enjoy the church potluck tomorrow! The cookies for sure, I haven’t tried freezing them with the filling so I’m unsure about the texture once they thaw.